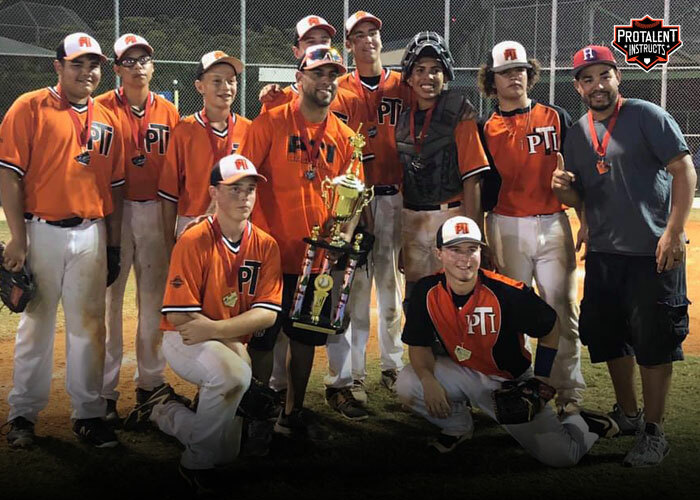 FT MYERS, FL – The PTI Underclass High School Showcase team played an outstanding event during the Pro Style Baseball Showcase in Terry Park in Ft. Myers this past weekend making it all the way to the Championship game. The team went (1-1) during pool pay games on Saturday. Tyler Robinett was stellar was again tossing 3 innings and earning a win while Alexis Ocasio led the team offensively with 6 hits. The team would be the second seeded team in their bracket with a first round bye into the semi final game where the team would go on to defeat the Bradenton Marauders by a score of 12-1 and advance to the championship game. Alexis Ocasio stayed hot during that offensive explosion while Shane Hughes led the way tossing 5 innings of work without allowing a single earned run. The Maniacs would then go on to come up short in the Championship game losing to Florida Burn by a score of 5-3. A back and forth well played game by both sides in which the Maniacs would earn USSSA Ranking points as well as runner ups awards. The team will continue playing next weekend December 8th in St Petersburgh, FL.